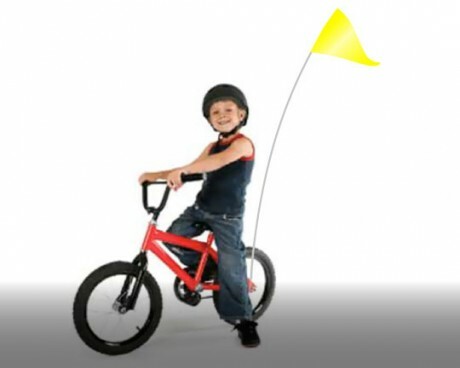 Bicycle Flags and Marker Flags - Shop Bike Flag Sets or Create Your Own Custom Bike Flag! Shopping for bike flag ? We carry a variety of bicycle flags that are used for all kinds of marking purposes. Initially designed for bicycle safety, they have also become popular for delivery vehicles, warehouse machinery or even marking items under the snow. 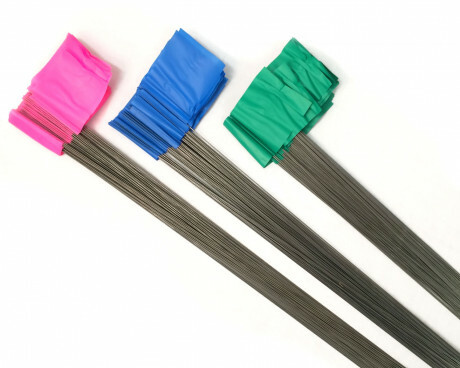 We also carry a number of bike flags with poles. The six foot long fiberglass rod is durable in all kinds of weather, and moves with the wind creating an eye-catching look when moving or stationary, as often done when marking crop rows. Each bike flag set includes a triangle vinyl bike flag mounted to a 1/4" diameter, 6' tall white fiberglass rod and comes with a metal bracket for mounting to your bicycle. 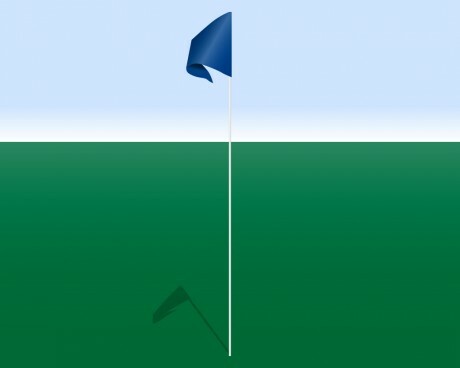 Our flags with poles are also frequently used on machinery, golf carts, wheelchairs and for marking crops. Have you got a new use for this product? Let us know and we will share your innovation here and on Facebook! Bike flags can also be ordered with just the bike whiprod already attached and no bracket. 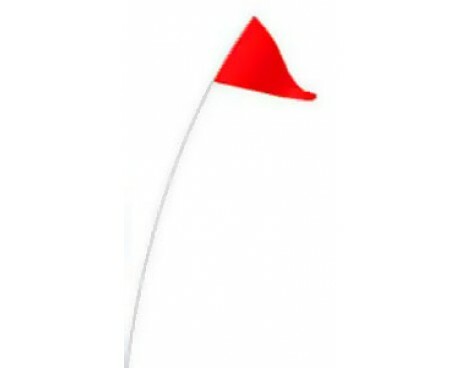 Set includes a vinyl flag mounted to a 1/4" diameter, 6' tall white fiberglass rod. Available in a wide range of bold colors; blue, red, yellow, white, fluorescent green, fluorescent orange, fluorescent pink. 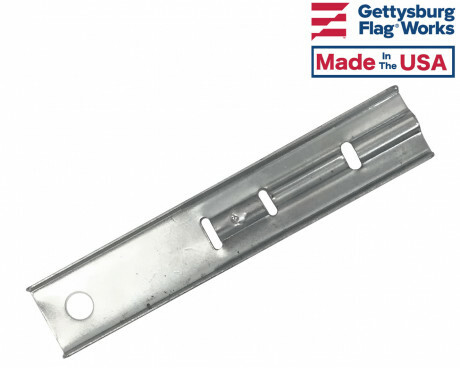 If you don't need a complete bicycle flag set , or just need to replace individual parts of your bike flag , check out our individual parts for bike flages. Order just the bicycle flags bracket, whiprod or bike flags. Brackets can often be used on strollers, shopping carts or dune buggies too. Whiprods are also available in a yellow color when purchased individually. Remove the nut that holds the back wheel in place. Slide the bracket over the exposed bolt & replace the nut. Secure the nut in place tightly to keep bracket upright. Slide whiprod with mounted flag into the bicycle flag bracket. Custom Bicycle Flag Sets - Design a Custom Bike Flag Today! Custom bike flags are a fun and effective way to decorate your bike! 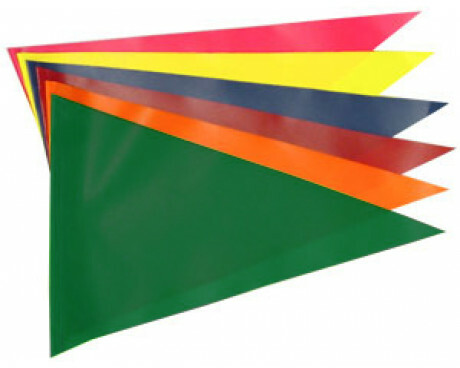 Add your design to our 10x12" Heavy duty fluorescent plasti-cloth triangle bike flag . You can add your own custom message or logo which is screen printed on the front of the flag. This is an affordable way of marketing your bike rental business or unifying the look of a bike event. 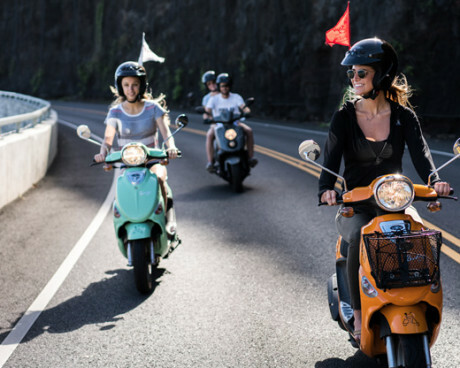 Our custom bike flags are available in black, white, bright green, orange, royal blue, yellow, red, fluorescent orange, fluorescent red, fluorescent green, and fluorescent pink. When you are ready to order your bicycle flags, you can order online or over the phone. Our graphic artist will be happy to help design your new bike flags. Each custom order will get a proof of the finished product before we send it to production. Also, take a look at our portfolio pages to get an idea of previously made custom bike flags. Small plastic flags on a wire are called marker flags. A marker flag is pushed into the ground to mark freshly seeded or treated lawns, underground wires or for training dogs to obey invisible fences. Marker flags are available in solid colors or screen printed with your logo or safety information. Have questions about any of our bike flags for sale? Interested in making a custom bike flag for your kids, but you're not sure where to start? Send us a message online or call us at 1-888-697-3524. We looking forward to assisting you!